An experimental alter ego project focusing on visualizing sounds in graphic ways. My alter ego Mr. K is an enthusiastic car racer who loves the sounds generated by beefed up cars such as the exhaust, turbo, intake, and tire skids. These sounds are music to his ears! Just as a musician visualizes music through notations, K finds notational form to capture the nuances of his automotive melodies both in both static and dynamic way. 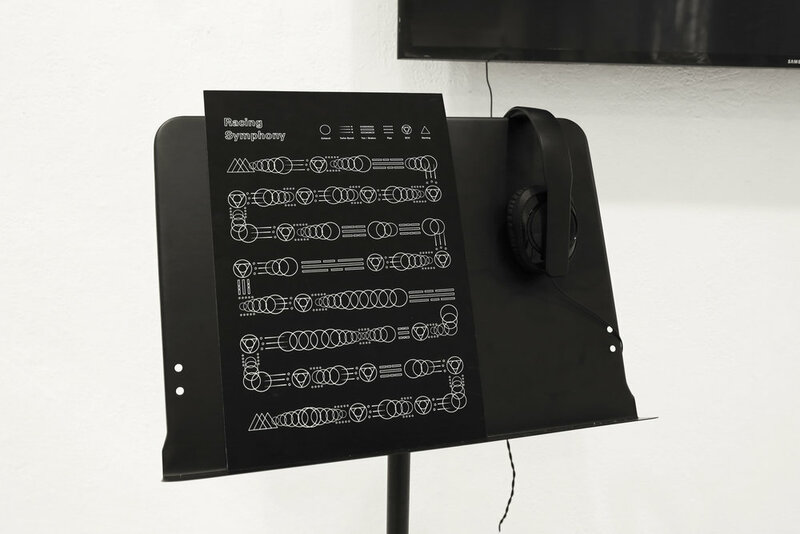 Mr.K's unique music score, with different patterns and shapes representing different sounds generated from different car parts. Transforming the static notations into a dynamic form as Mr.K's vision of driving through the automotive notations. Inspiration of how to visualize Mr.K's music notations as a car racer driving on a car.